East Texas radio lost an iconic DJ Thursday with the passing of 90 year old Tom Perryman. 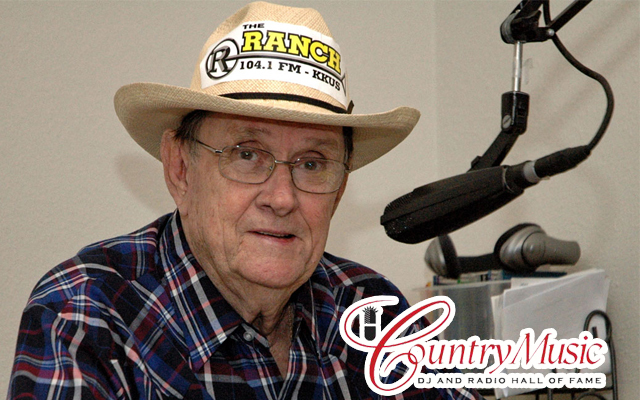 He was legendary in the country music scene for many decades and was on-air up until about a year and a half ago full time on 104.1 The Ranch. The station hallways have missed his presence for 18 months and now the many who knew and loved the man mourn his passing. Services will be held Saturday at 3:00 in Tyler. One of the best things about Tom’s stories is that they were actually true! The man had an amazing memory and happily recalled stories for his listeners in a manner that kept you around for more. He truly was an encyclopedia of country music. He was also a very funny and kind man. I wish I could have spent even more time with this radio trailblazer. Our prayers will continue for Miss Billie and the family as they let go of this precious radio legend.